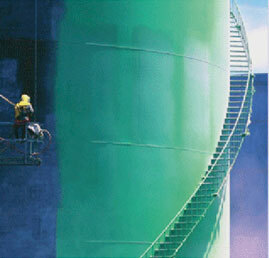 Polyurea is an elastomer which is produced by preparing 1:1 mixture in volume of isocyanate and polyamines. It can be in both aromatic and aliphatic structures. Polyurea elastomers are mechanically resistant to UV. Aromatic polyurea may change its color when it is exposed to UV, while it does not lose its mechanical properties. On the other hand, no color change is observed on aliphatic polyurea when it is is exposed to UV.